The AFPO magazine is free. It is published three times a year, in February, May and October. 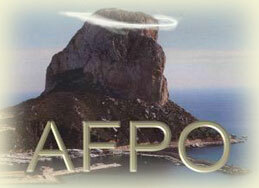 It has local information, and useful articles relating to Calpe. It also has a section with information for members only. Members may receive the magazine by post. Magazines (without the members' section) are distributed to the advertisers and to numerous businesses around Calpe. The current AFPO magazine includes letters to the editor, Calpe's plans for a desalination plant, Red Cross Health Assistance, and many other topics of interest. In the ‘members only’ section you will find the President's letter, and pages of up-to-date local information. If you would like to contribute to the magazine, please contact the editor, Betty Gower, at or on 634 348 724.